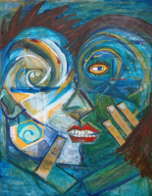 Picasso, eat your heart out! 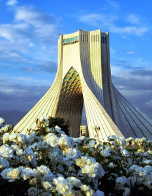 The Azadi Tower in Tehran's Azadi Square, scene of many demonstrations in the run-up to Iran's Islamic revolution - and many more mass protests since. 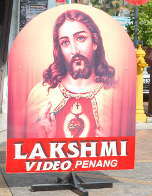 Sacred Heart sign advertising the, er, Lakshmi Video shop in George Town, Penang. 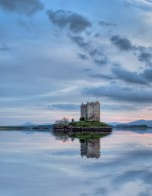 Castle Stalker in Loch Laich, an inlet off Loch Linnhe just north of Oban.